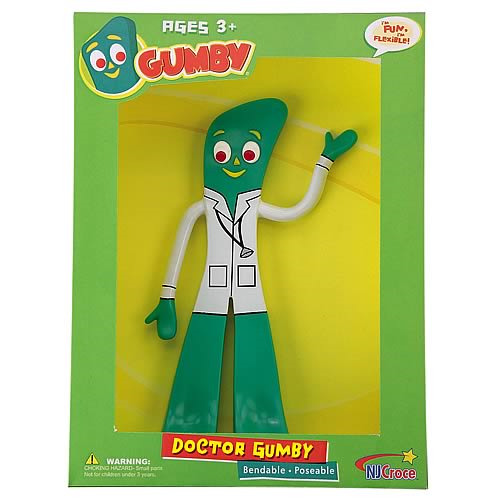 Add this medically-inclined bendable figure to your Gumby collection! Gumby is a green clay humanoid figure who was the subject of a 233-episode series of American television which spanned over a 35-year period. He was animated using stop motion clay animation. Gumby's principal sidekick is Pokey, a talking pony, and his nemeses are the Blockheads. Stands approximately 6-inches tall. Bring home this Gumby Doctor Gumby Bendable Figure today!